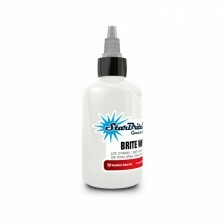 Starbrite Colors is one of the longest running producers of tattoo inks in the world. The colors are made in the USA. They are famous mostly because of their radiant look even after a few years in the skin. The colors are original, sterilized, and non-toxic. They contain pure organic pigments.